Use of the APHIS 7001 Form for health certificates remains a concern across the nation for veterinarians and traveling animal owners, as many states no longer accept this form or discourage its use altogether. Do you know if your state has stopped accepting the APHIS 7001 form? The states that no longer accept APHIS 7001 Forms include: Alaska, Colorado, Georgia, Idaho, Illinois, Indiana, Kansas, Kentucky, Louisiana, Maryland, Massachusetts, Mississippi, Missouri, Nebraska, Nevada, New Jersey, North Carolina, North Dakota, Oklahoma, Oregon, Pennsylvania, Tennessee, Washington, Wisconsin. Many officials recommend digital Certificates of Veterinary Inspection (CVIs) for movement instead of the APHIS 7001 Form. In our webinar, Handling the 7001 Crisis with eCVIs, we explain the continued challenge of APHIS 7001 Forms and how digital health certificates can solve the issue. Watch the 7001 Form webinar below, or on our YouTube channel. 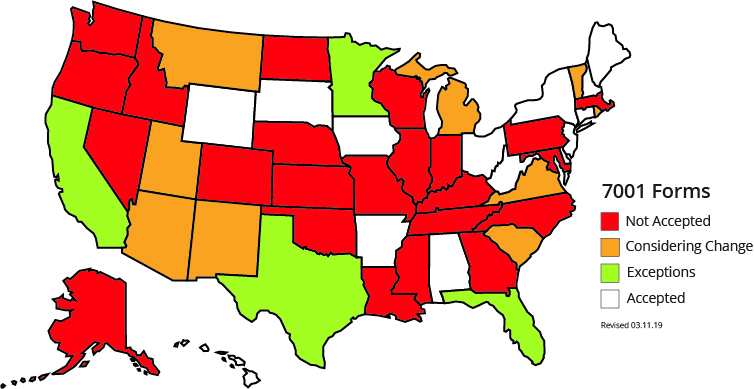 As of March 11, 2019, these states no longer accept APHIS 7001 forms or have their regulations under review for 7001 forms. GVL hosted the webinar, Small Animal Requirements for Movement and Travel with Dr. Valerie Ragan, on March 13, 2019, with a great turnout and a lot of excellent discussion. 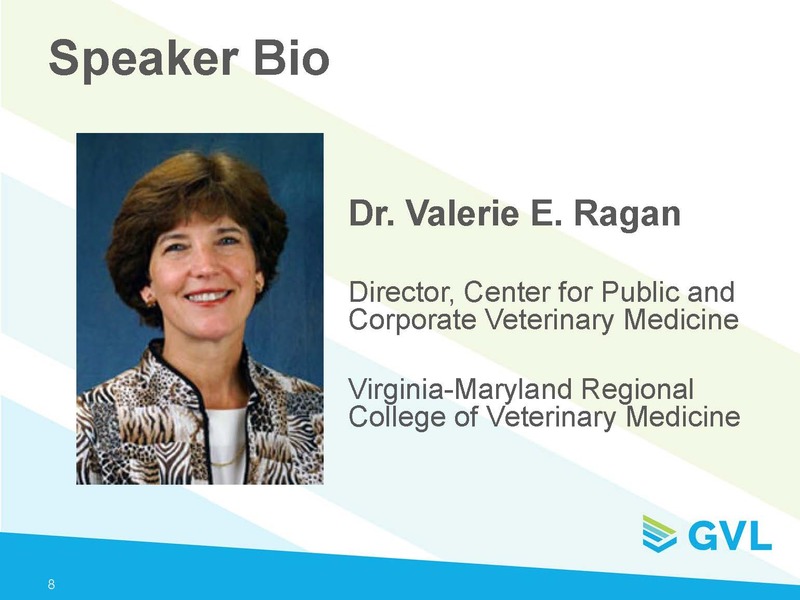 During the webinar, Dr. Ragan and GVL representatives shared some helpful resources that we have summarized on the GVL blog.